I’m not sure where I came across this recipe – was it Instagram? Pinterest? In any event, it looked good to me and I put it on the menu the following week. And I loved it! It’s easy to prepare, looks good, tastes great, and is very adaptable to what you have on hand (or prefer). 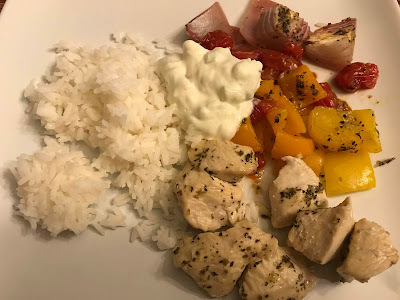 I served it with rice, but it would be good in pita pockets, too, or consider Greek-style potatoes. 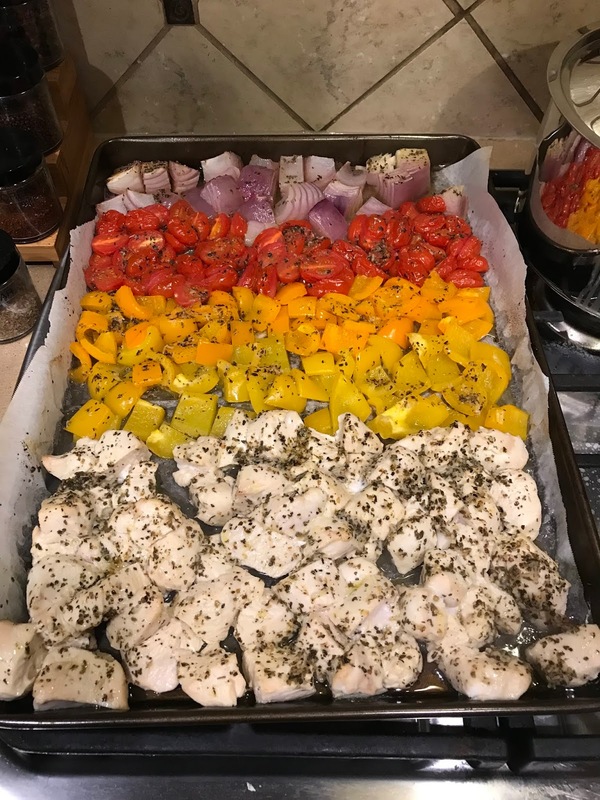 Arrange chicken and veggies on a large sheet pan to create a rainbow pattern. In a small bowl, combine all the ingredients for the marinade. Brush mixture onto chicken and veggies or toss chicken and veggies in mixture. 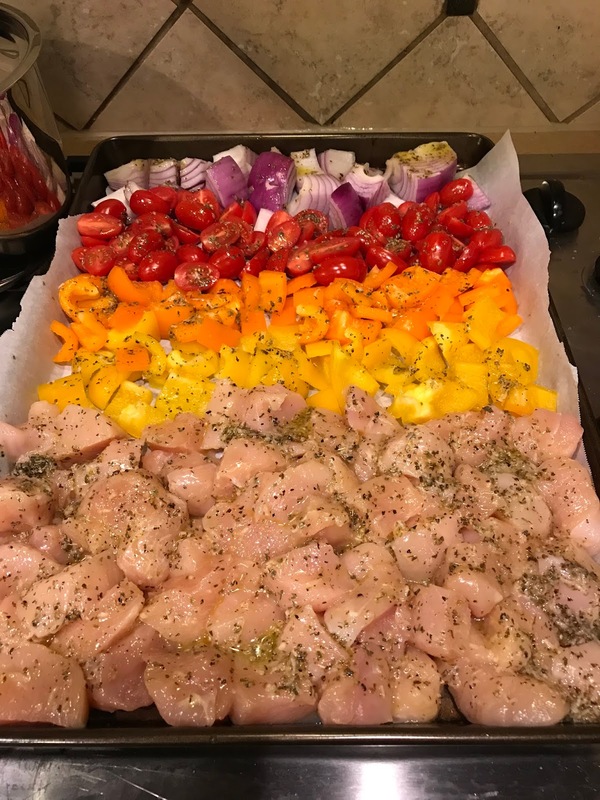 Bake for 15-20 minutes or until veggies are charred and chicken is tender. 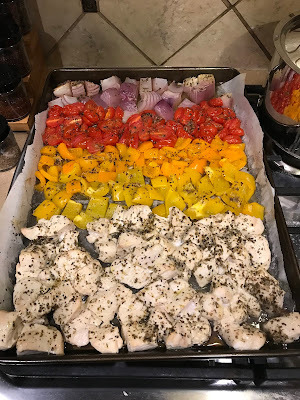 Remove from oven and cool for 5 minutes before serving. Whisk all the ingredients for the tzatziki in a small bowl. Serve chicken and vegetables with tzatziki sauce alongside rice or pita.